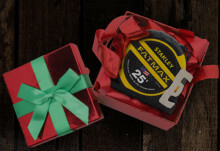 As the holiday season quickly approaches, don’t forget to deck the halls with STANLEY Tools. Whether you’re decorating your home to add a little holiday cheer, a DIYer, professional, or in construction, STANLEY has everything for everyone! From your most basic needs to smart technology, STANLEY has got you covered.